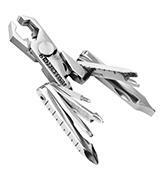 All the elements of this Leatherman multi-tool are manufactured entirely from the high-quality 420HC stainless steel, which makes it very durable. When unfolding the needed tools in the handles you open the whole tool set, which requires closing the unneeded tools. 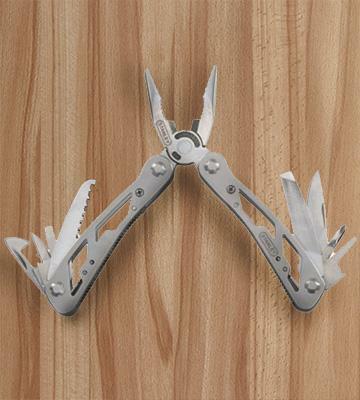 The Leatherman Wingman is a reliable multi tool, which offers all the basic features. As experience shows these features prove useful both at home and on a trip. This multi tool distinguishes itself for the precision machined pliers tips, which enables them to perform delicate operations. Opening some tools may require much effort. Owing to the rich functionality this multi-tool offers, it is possible to use it as a substitution of a kit of full-sized tools, which you are unable to take with you for some reason. 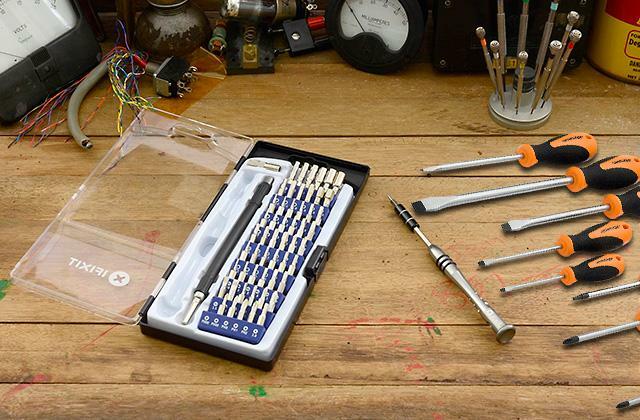 All the tools do not require any significant effort to open. Some users may find the tool handle not large enough. The Victorynox has produced one of the best multi tools which you can carry about on a trip or a hike and use effectively in case you encounter unexpected difficulties. This Stanley multi tool comes with a leather case, which provides a secure storage for the tool. Some users report the multi tool to have the tools embedded too deeply in its handles. 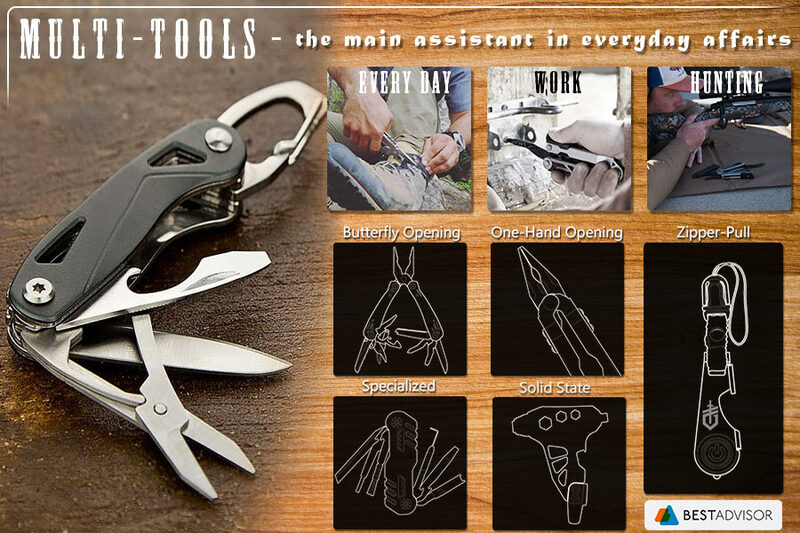 The selection of built-in tools for this multi tool makes it a solid assistant not only on a journey but also at home. The Swiss Tech brand managed to produce a very compact multi tool that also comes up with a rich functionality. 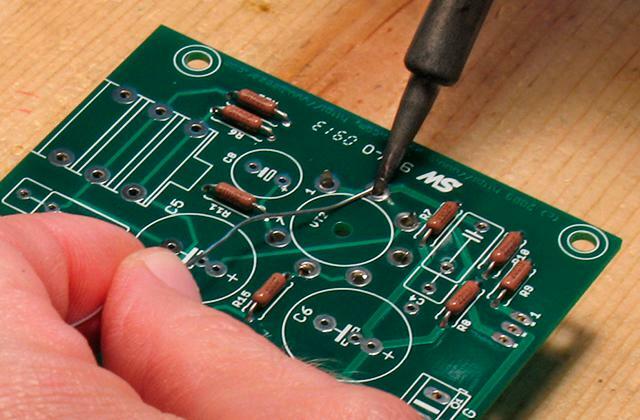 With it you will have a tool kit that can be housed in a palm. Some tools are reported to get loosened after an active use of this multi tool. The Micro-Max model will serve you well both outdoors and at home is performing various tasks as it combines compactness with a high efficiency. Whichever leisure pursuit you decide to engage in the outdoors: outdoor recreation or cycling taking a multi tool with you may turn out beneficial. 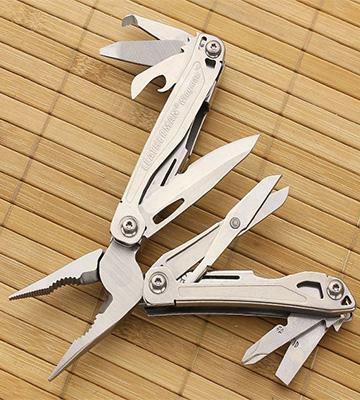 Getting lost in a large number of multi tool manufacturers is as easy as getting lost in the wilderness but you should keep in mind that the Leatherman company makes the products that are among the best multi tools in the world. In this review, we took a closer look at their Wingman model. Though this pocket multi tool is nowhere near the most expensive model by Leatherman, its quality and functionality are among the best the company ever produced. The thing that makes Wingman multi tools stand from the most similar products is the build material, which is 100% 420HC stainless steel for the whole body and handles of the tool while other manufacturers tend to use this steel for manufacturing only separate elements. Owing to the durability of the 420HC steel the multi tool is produced from the manufacturer provides a tremendous 25-year warranty period for the Wingman multi tool. This multi tool was designed with a minimalism in mind and is made very smooth to the touch. It is pleasant to notice that when holding the closed tool, you will not notice any sharp edges and protruding elements, which is definitely a plus. This makes carrying about this multi tool in a pocket of your trousers, shorts or any other clothing easy and unobtrusive. Despite the overall convenient and unshowy design of this multi tool some its tools just make a spectacle of themselves in a good way, like the needlenose pliers. 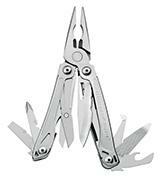 The pliers are one of the key elements of this Leatherman multi tool and thought out very well. 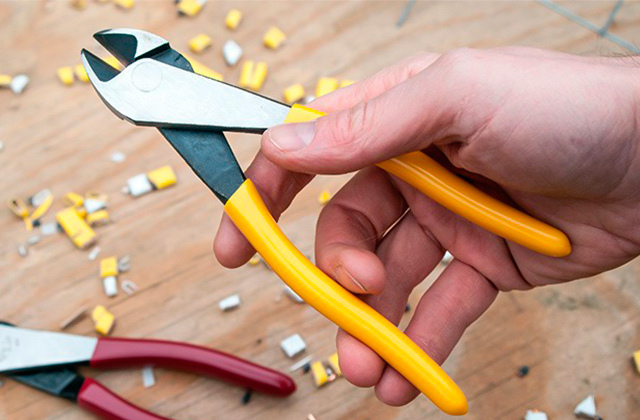 These needlenose pliers can be used as pliers, cutting pliers, nippers, and jagged pliers. The needlenose pliers of this multi tool are of a spring-action type and what is very important the spring is hidden in the multi tool body so it will not be damaged from the outside. Another important feature of the Wingman pocket multi tool is the knife that is pretty good. The thing we liked most of all about this multi tool knife is the serrated edge area availability, which makes cutting a string or even a rope an easy task. By the way, knives with such edge are in demand among special service agents. The other edge of the knife is of a regular type. In an open position, the sharp knife of this multi tool is securely locked by the Liner-Lock. We would like to highlight the ability to equip the Wingman multi tool with a longer knife as some free space is intentionally left by the manufacturer between the blade and the tool body when in a closed position. Opposite to the knife, there are scissors, which are pretty big for such a compact multi tool. The overall length of the scissors is a little more than 61 mm. Under the handle, there are yet five tools with a wide application range. 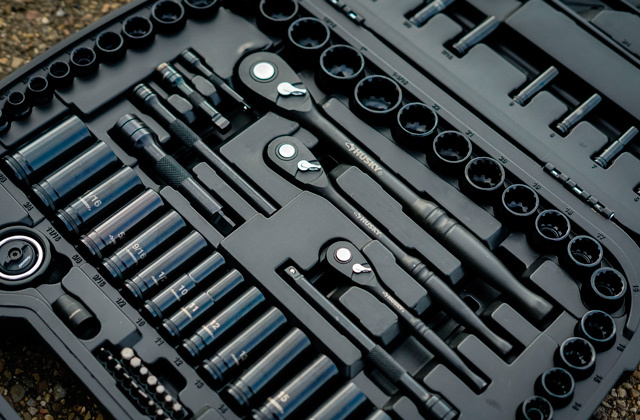 All these tools can be opened using lugs on the tool back and perform perfectly. In general, this multi tool is very convenient to use because of its well thought out design and smooth body and handles, which eliminates the possibility of the handles to press against or cut into your hands. 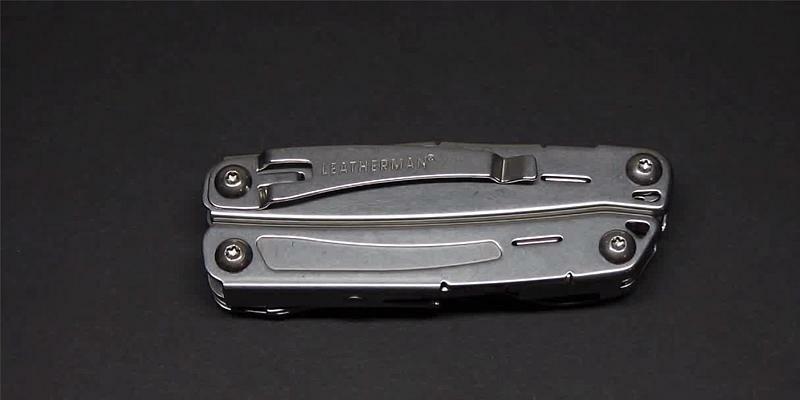 The Leatherman company was founded by mechanical engineering graduate Timothy S. Leatherman. Tim made the first multi tool prototypes from cardboard paper and wood in 1976. Several years after, thanks to Tim’s stepbrother who had taught him to work with metal, Tim managed to manufacture the first metal prototype. Tim spent several years perfecting the “Mr. Crunch” prototype and received his first U.S. patent after that. In some 4 days, his invention got a contribution in The New York Times. However, the search for the multi tool consumers was not very successful at the first time. It was not until Tim presented the “PST” (“Pocket Survival Tool”) multi tool in 1983 that the Cabela company jointly with the Early Winters placed an order for the first 250 pieces batch of this multi tool. In a year the number of ordered multi tools doubled. In 1992 the Leatherman company provided itself with an own factory and already in 1993 the company multi tool sales reached a million units. 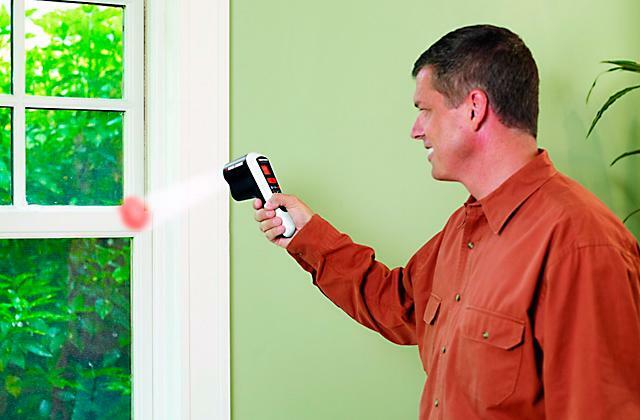 To be able to use your multi-tool even at night and in a poor lighting, we recommend buying one of LED flashlights. 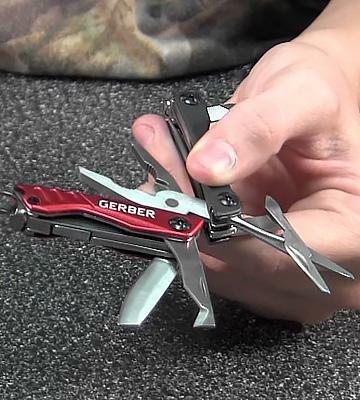 This compact multi tool by Gerber was introduced into the market in 2011 and the manufacturer described it as a small and light weight pocket tool for an everyday use that offers a large number of applications. It is worth noticing that the model enjoys popularity and success until now. That is why Gerber still produces this multi tool model. Owing to its portability and rich functionality this multi tool will serve you as a full-fledged substitution of a full-sized tools kit. The Gender Dime Pocket Micro Multi Tool easily fits in a pocket, literally any bag or can be even carried as a fob on a keychain. 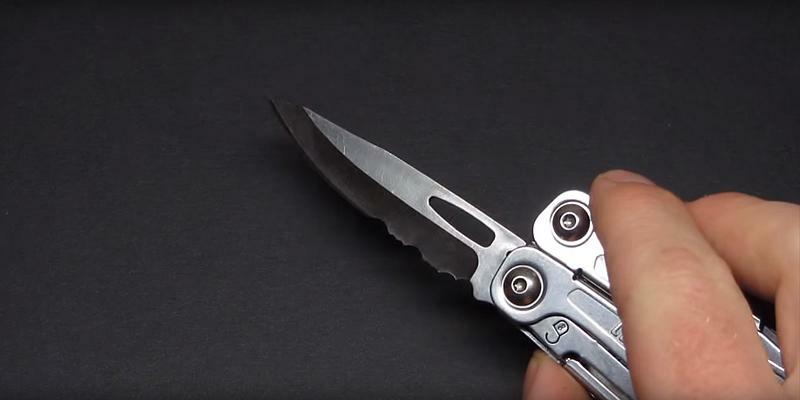 Aside from the impressive usability, this pocket multi tool has a very attractive look. Users are given a choice between green and red colour options of Gerber Dime body cover plates. The first thing you notice when taking the Gerber Dime multi tool in your hands is the texturized surface of the tool’s handles, which provides a tight grip and enhances convenience of use. Among the tools included most of all we enjoyed the pliers, the making precision near their tip if to be more precise. 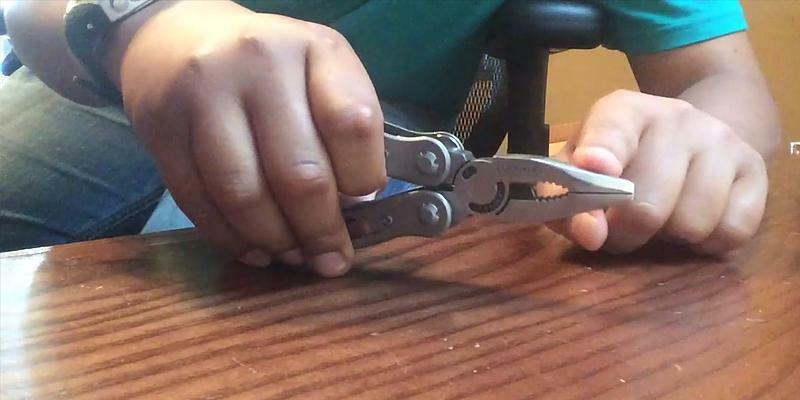 The jaws of the pliers of this Gerber multi tool clamp with such a precision and tightness that you can easily pull off even a splinter with them. The knife of the Dime multi tool is also worth separate mentioning. The knife’s blade works great for such common tasks as stitches cutting, a scotch tape cutting and thinning a pencil. The knife’s handle looks short at first sight but it is effectively elongated with the unfolded bottle opener with rounded outer edges. 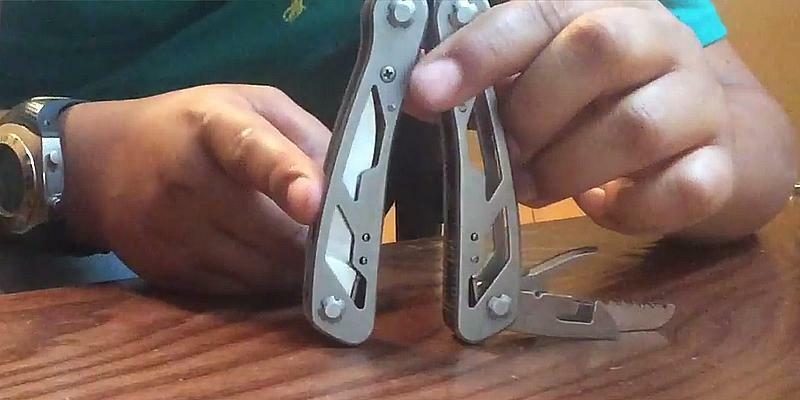 This design solution makes using the multi tool’s knife a pleasure. The fine edge knife of this Gerber pocket multi tool has a cut-off tip, which prevents getting accidental injuries and cuts. 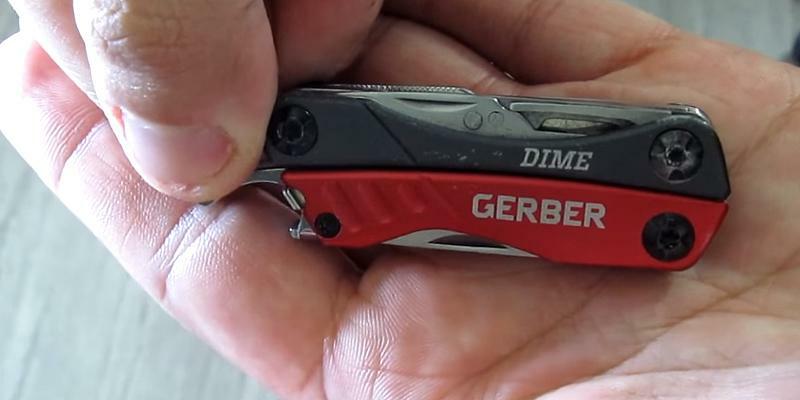 All things considered, we can say that Gerber Dime Pocket Micro model is manufactured free of any visible defects, backlashes and gaps while offering a decent tools sharpening. The history of Gerber company started because of a series of random circumstances. At the beginning of December, 1939 Joseph Gerber, the owner of a small advertising agency, by chance came to a saddle production workshop. While examining the process of leather products manufacture, he was extremely surprised by the cutting ability of knives used by the saddlers. It was just beyond comparison with all other types of knives. Gerber found out that the knives were made using the hacksaw blades by one craftsman from Portland, Oregon. A week later, Gerber visited that craftsman and once again made certain that the craftsman’s knives are flawless for the intended purpose but absolutely unattractive in terms of their design. It was only some time after that Gerber in cooperation with his assistant responsible for the artistic finish of products developed an attractive knife sketch in their view and ordered 24 knife copies from the craftsman. The knives ordered were intended to be sent as New Year gifts to regular customers. That is why one can say that the manufacture of Gerber knives was launched accidentally. If you are a fan of backpacking and touring you will definitely appreciate the practicality of a camera backpack as there is hardly a trip without a camera. Unless you want to miss all the nature and landscape beauty. This multi tool as the “Army Knife Hiker” model name states performs superbly as your traveling companion and an indispensable attribute of touring of any type. This wallet multi tool has such useful tool as a wood saw in its armory, which is not so often seen in multi tools. On your way to a hill or mountain top, this wood saw can help you eliminate such annoying obstacles as dense bushes or tree branches. The can and the bottle opener tools included in this compact Victorinox multi tool will come in handy when celebrating the summit conquer of having a rest and enjoying the view. As we already mentioned this survival muti tool is very compact and can be put in any pocket not to say to be used as a key fod. With that, the red plates of the 1461300 Army Knife with matte finish look really appealing and create an individual aesthetics. On the practical side, all the tools included are easily unfolded and can be reached effortlessly, which is unluckily not always a characteristic for many other multi tool products. It is important for a multi tool not only to offer really sharp cutting tools, with which you can effectively perform crucial tasks but to maintain the sharpness for a long time and the Army Knife Hiker does just that. 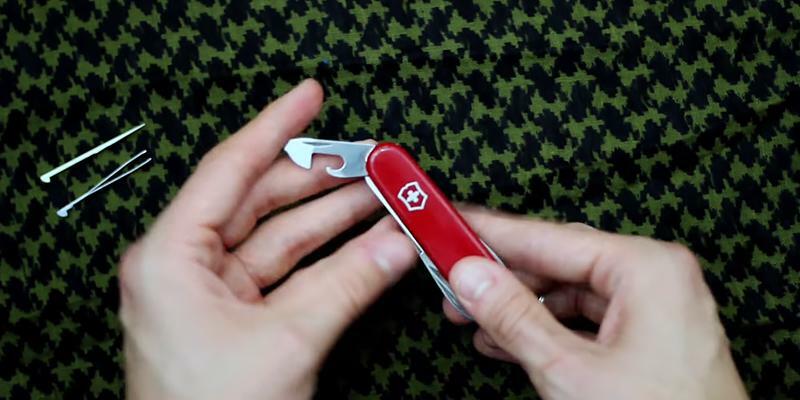 It has become a common knowledge that in Victorinox multi tools manufacture each cutting tool undergoes a mandatory manual check of sharpening quality. It may seem highly unlikely but this small multi tool has a very rugged structure. Even putting in great efforts when, for example, opening a hard to open can is no reason for worrying about getting a Victorinox tool broken. 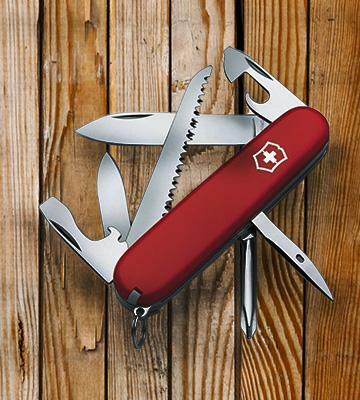 You can fully concentrate on performing the task itself because the Victorinox manufacture their 1461300 Army Knife products from a high-quality stainless steel with a proprietary formula and tempering process. That is why the only thing you can do with this multi tool to make it fail is to leave it at home. 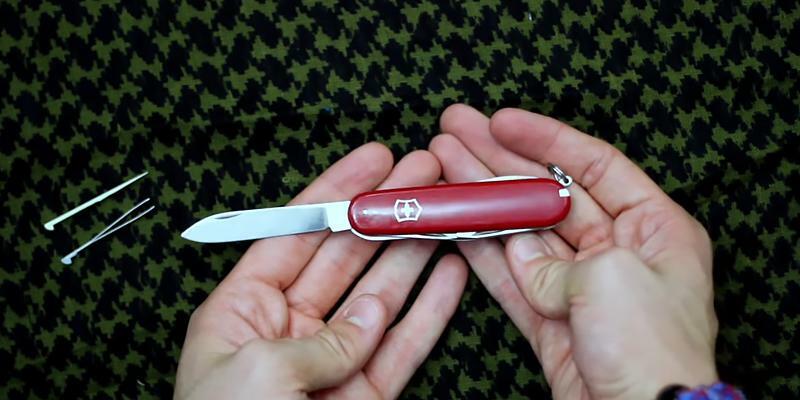 The Victorinox has gone a long way before becoming famous all over the globe. The company attained recognition to a great extent owing to Karl Elsener’s (its founder) ability to take risks and take very bold decisions, which eventually allowed him to reach his goal. Karl’s mother, Victoria, ran a hat shop and hat manufacturing facility. Since Elsener’s elder brother was the one to inherit the family’s hat manufacturing business Karl decided to master different profession – knife maker. At that time there were no high-quality knife manufacturing enterprises in Switzerland and Karl decided to become a national number one in this business. To become a prominent knife maker and acquire professional competencies in this area first Karl went to France and then to Southern Germany, which were known to produce the best knives in Europe then. At the age of 24, Karl returned to Switzerland and in 1884 he opened a shop for knives manufacture, sharpening, and repair. In 1890 Karl Elsener took the risks and ventured the manufacture of knives for the whole Swiss army having united about 25 craftsmen under his authority. 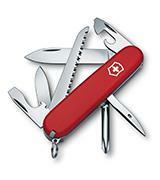 At that time the Swiss army has been regularly procuring knives for own purposes from Germany. The Elsener group-developed product turned out to be of quality commensurable with the one of the Germany-made knives. Though these Swiss-made army knives were of a higher price, which caused their low sales and made the craftsmen exit the joint enterprise. However, this experience led Karl to establish the production of different multifunctional multi tools. In 1897 Karl Elsener acquired the patent for the knife, which gained him recognition and financial success and was called an Officer Sports Knife. The knife was small in size, lightweight and had a smooth fibre-coated handle and such tools as an additional knife and corkscrew. Karl Elsener’s example only goes to show that you must never surrender to the despair and pursue your goal with all your courage. If your pocket knife or cutting tool got blunt after the use, you can sharpen it with one of the knife sharpeners. The STA084519 multi tool by Stanley is quite an interesting device. 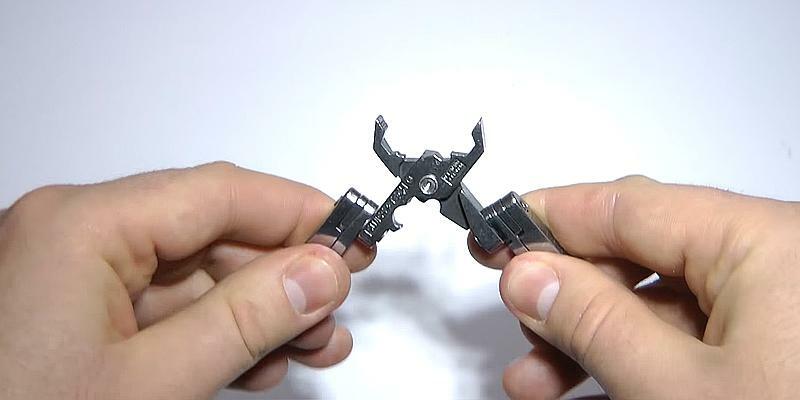 On the multi tool opening, you get an instant access to the pliers with serrated noses, which are massive and handy enough to perform a wide range of tasks with. 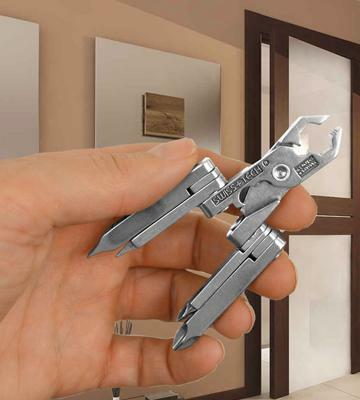 Even the very look of these versatile pliers is much convincing and they look really stylish and sleek. Of course, users focus more on their performance, and from that point of view, they have a superb potential as they can act both as curve jaw pliers and as nippers. The other tools of the Stanley STA084519 multi tool are built into the handles of these flat nose pliers and unfolding them gives you an access to the screwdrivers of four types, two knives, a saw, mini file and a bottle opener. Given the spectrum of application of the tools this multi tool is comprised of, we can infer that this model fits not only for travelling but also for an everyday use at home or even industrial use. It goes without saying that for the maintenance of any equipment one should obtain professional or specialized tools but in case the issue is not of a large scale this portable multi tool will suffice. Especially taking into account that all the tools are precision-made and show a great performance. One should also remember that even the most reliable and sturdy multi tool requires an appropriate and secure storage, which in this case is ensured by using the branded pouch included. 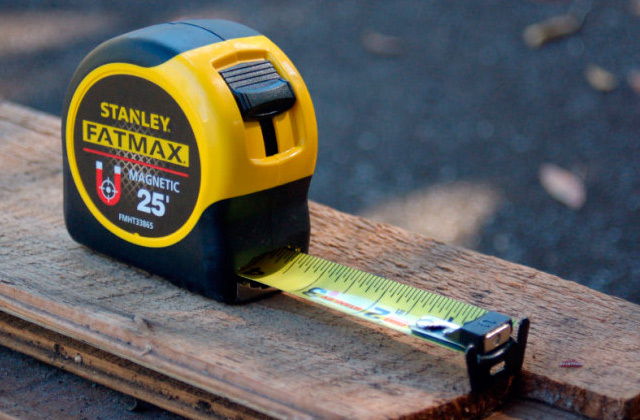 The Stanley company has been producing high-quality tools for more than 170 years already. Considering the fact that this company owns about 150 patents you can say for sure that the company has made your life easier and more comfortable owing to the numerous innovations developed. Different tools by Stanley were intensively used in the implementation of the largest construction projects of the 19th and 20th centuries. Today the company’s tool production satisfies more than 25% of global demand supplying the tools for all the continents. When first power tools entered the market in the 1930s the Stanley company joined the trend of advanced equipment production. That is why already in the 60s Stanley power tools conquered the Northern and Latin America markets, and eventually European and Asian markets. 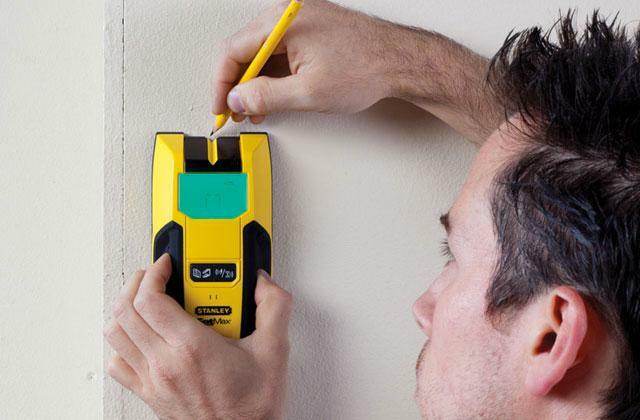 The Stanley brand is a must when making a list of famous brands to be represented at the largest trading networks outlets and shops specialized in home and maintenance tools. A tactical flashlight may turn out very handy when spending time in the woods or outdoors. Honestly the idea of such a small thing having so many functions packed inside has never crossed our minds. Thus, figuring out the real potential of this multi tool by Swiss Tech company just boggled our imagination. Notwithstanding the fact that there are many multi tools on the market that include even more tools the compactness of the MMCSSS Micro-Max is nothing short of amazing. 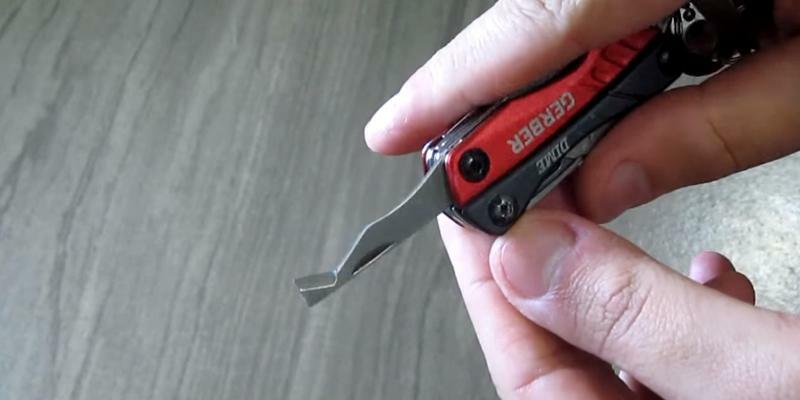 This multi tool is even smaller than half a palm. With that, offering as many as 19 tools this multi tool model can be easily used as a fod. However, the Micro-Max clearly distinguishes itself from the ordinary fods as it is manufactured from a durable stainless steel. We were pleased to experience easy and quick tools opening and unfolding owing to the patented mechanism. All the usable elements of this extremely compact multi tool are readied for the use without much effort and do not feel unstable and loose. In our opinion, it is quite difficult for the one who is looking for a compact and multifunction multi tool at a moderate price to find a better offer. 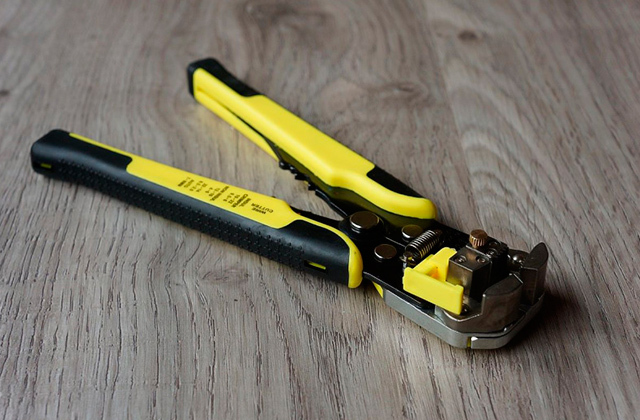 You really can fix many things in your house with this small but potent Stanley tool. American Swiss company called Swiss Tech specializes in the production of multifunctional portable tools. Starting from 1996 the company has been carrying out multi tools production and managed to gain a lot of loyal customers and followers since then. 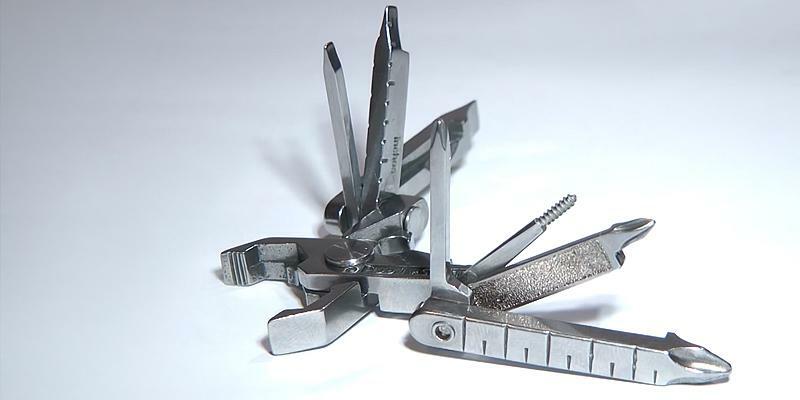 In the same 1996, Swiss Tech released their first multi tool, which was made as a miniature keychain fob that offered 6 different tools: pliers, scissors, nippers and screwdrivers. The Swiss Tech gained a resounding success with this product that is why for the sake of avoiding copying of this multi tool the company lawyers obtained a patent for the Key Ring Tools soon after the release. The Swiss Tech brand serves as a guarantee of a high-quality production, which as the company employees use to say, unites the simplicity with a minimalism, astonishing Swiss quality with innovative ideas of American engineers. In 2004 the company made another significant advancement by launching the “Micro-Pro” innovative product. This product stood out among the peers owing to its rich functionality achieved through the combination of a LED flashlight with various tools. If you take a smartphone or tablet PC to the trip, we recommend using a compact and convenient digital pen. A multi tool is an all-purpose tool, the first models of which were invented by an American engineer Tim Leatherman. Multi tools are intended to make quick repairs, or some kind of easy maintenance works while you are "in the field". The main course of use for most multi tools is during field trips by foot, bicycle rides, hikes and outings with friends or family and any place where you need a small-sized and lightweight tool for performing a wide range of functions. That is why the choosing of a new multi tool requires attention and care. The optimal multi tool will have all the tools to satisfy your needs. We suggest you consider our comparison of the most popular multi tools and choose the best one for your special needs. 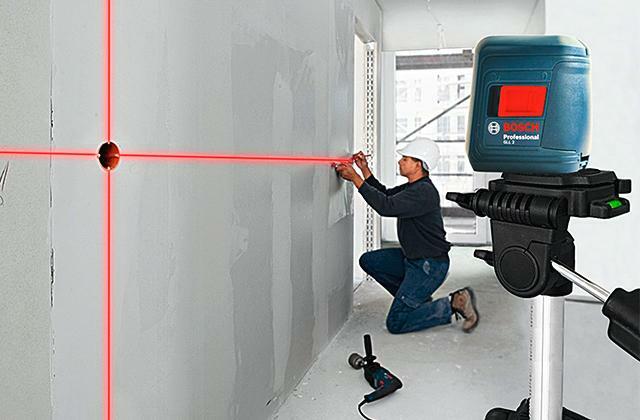 If you need a more powerful tool (for example, you want to effectively screw in bolts or self-tapping screws), we recommend you to read the cordless drills review. When choosing a multitool the first thing you should look at is its Design and Material. There are four main types of multitools: (1) full-size multitools that you wear in your sack or belt bag, best multitools to purchase if you are going to use them on the everyday basis; (2) pocket-size multitools have smaller weight and sizes compared to full-sized ones, but still preserve most part of functionality; (3) keychain multi tools - the multitools of very light weight and compact size that can be used as keychains, but they mostly have a little number of tools too; (4) credit card multitools, called that due to being the size of a credit card (but a little thicker, mostly 2 to 5 mm), which allows them to be put into your wallet. After deciding on the design of your multitool look at what it is made of. Various materials for different components are used to produce a multitool, from stainless steel and titanium to plastic. The material is an extremely important thing to consider, on it depends how long will your multi tool serve you and how durable it will be. 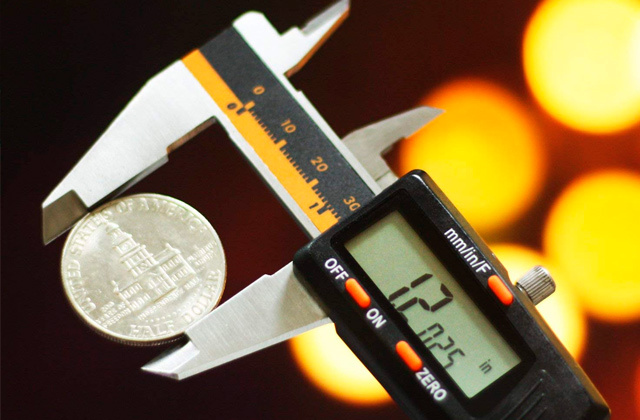 The next parameter to think about is your multitool's Operational Characteristics. Here you will have to sit and decide the minimum of tools you yourself will need. An excessive number of tools mill make your multi tool bigger in size and heavier. On the one hand, small multitools are easier to carry around, but on the other hand - the bigger ones are more comfortable to hold during work, and this is important if you have a big workload. The first thing that affects operational characteristics of a multitool is the number of tools it includes. You don't want to face a situation when you need to fix something quickly and there is no tool you desperately need. Also note that the same tool can be triggered to work by using different means. For example, the pliers. In some multi tools they can be protracted from the handle with your finger, but in other types of multi tools they pop out when the multi tool is spread. The device must have a minimum number of tools that includes standard pliers, a wire cutter, a knife, scissors, screw drivers, a bottle opener, a wire stripping tool, in some cases there must be a wood- and metal-cutting saw, an awl. Needless to say, the larger part of multitools only have some part of tools listed above, mostly 5 to 20 tools. 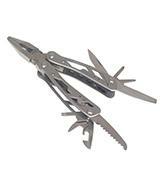 And the last thing we recommend you to look at is your multitool's Size and Ease of Use. The multitool must not be bulky and heavy. It must be compact, lightweight and easy to carry as far as possible. The purpose is for you to feel comfortable with your multitool in your belt bag, and not to wish to put the multitool in the desk drawer or in your car's glove box. This would kill the purpose of a multitool itself. 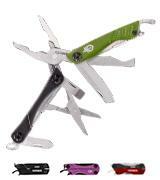 Multitools differ in weight and size. They can weigh from 50 grams (mini models) to 350 grams. 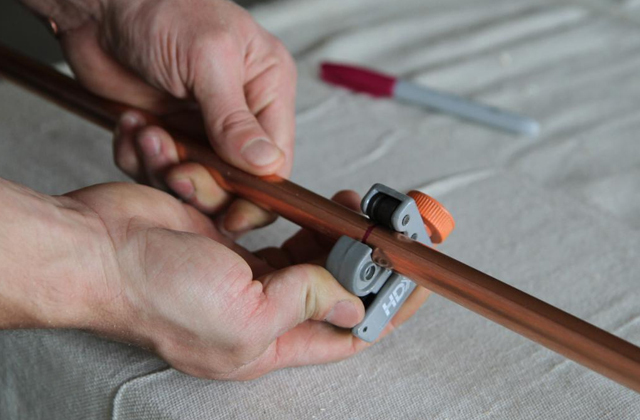 Also do not forget to consider the length of your multitool, both when it is assembled and when unfold, as it influences on the convenience of using a multitool. 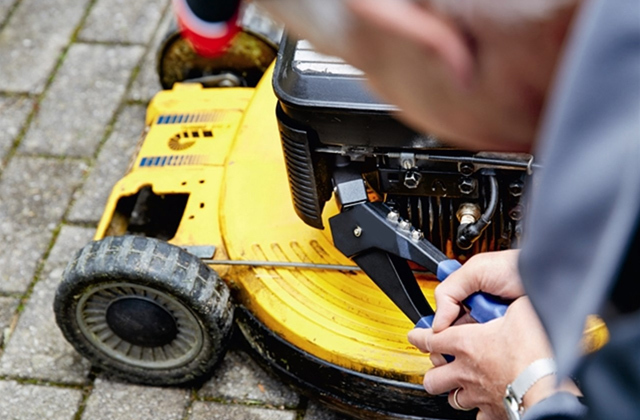 The main thing you must always take into consideration is where and for what you are going to use this device: in field conditions, to do quick repairs, or for a home usage. 1. Jediah Porter How to Choose the Best Multi-Tool, OutdoorGearLab. September 20, 2016. 2. How to Choose a Multitool, EASTERN MOUNTAIN SPORTS. 3. Tamia Nelson Choosing the Perfect Multitool — For You, Paddling. June 3, 2014. 4. Perry Belcher Choosing A Multi Tool / Knife For Your EDC, Survival Life. July 21, 2015. 5. Samuel Funt BEST SURVIVAL MULTI TOOL: REVIEWS TO HELP YOU CHOOSE THE IDEAL PRODUCT, Survival Mastery. 7. Brian Gordon A Buyer’s Guide to Multi-Tools, West Marine. September 14, 2016. 8. Multi-Tool Buying Guide, eBay. March 10, 2016.